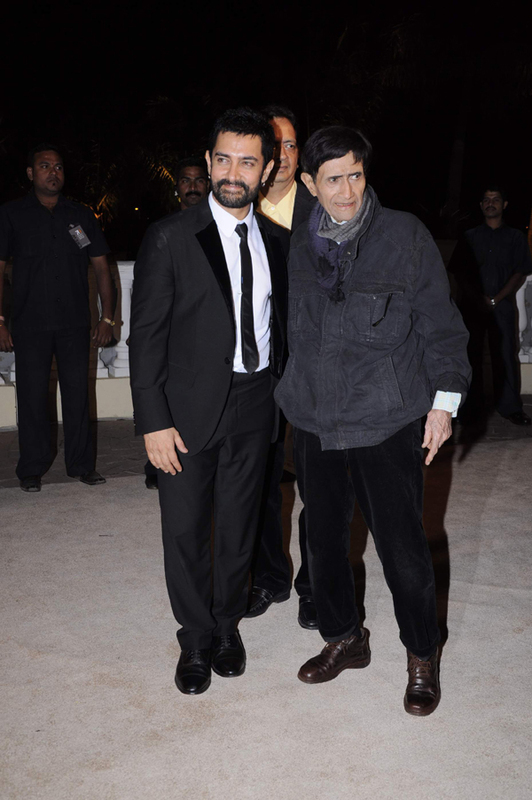 Aamir Khan made sure the whole of Bollywood, politicians and business tycoons turned up for what can only be called as the biggest Bollywood wedding bash in Mumbai. 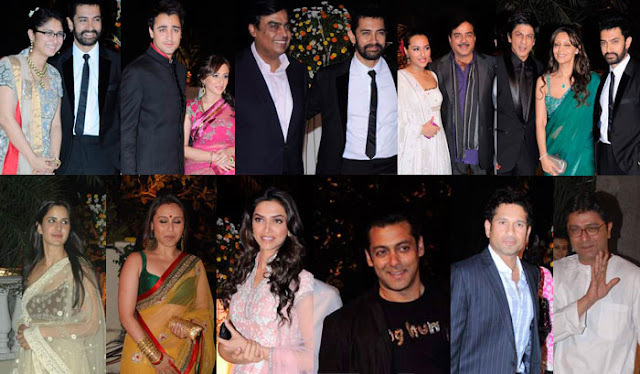 Mukesh Ambani and wife Nita, Sachin Tendulkar with wife Anjali attended the party. Akshay with wife Twinkle, Salman khan made celebration grand. 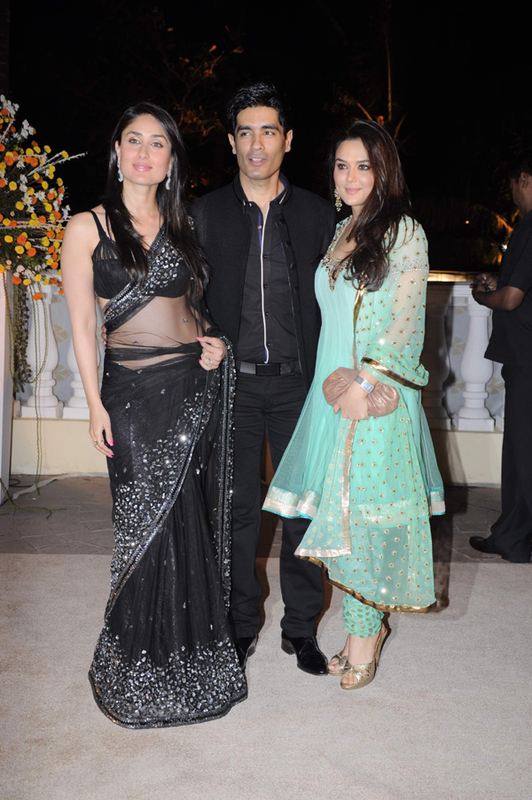 Karan Johar, Kareena, Manish Malhotra and Preity Zinta stuck close. Shotgun Shatrugan Sinha came with daughter Sonakshi and son Luv. Rani, Anushka, Deepika, Genelia, and Madhuri Dixit made night glamorous. 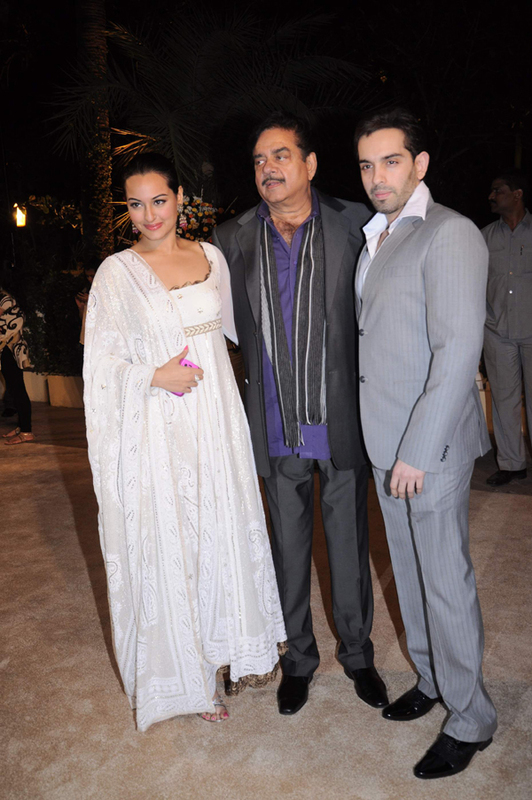 Legends like Dilip Kumar, Saira Banu, Shammi Kapoor, Dharmendra, and Randhir Kapoor blessed couples too.